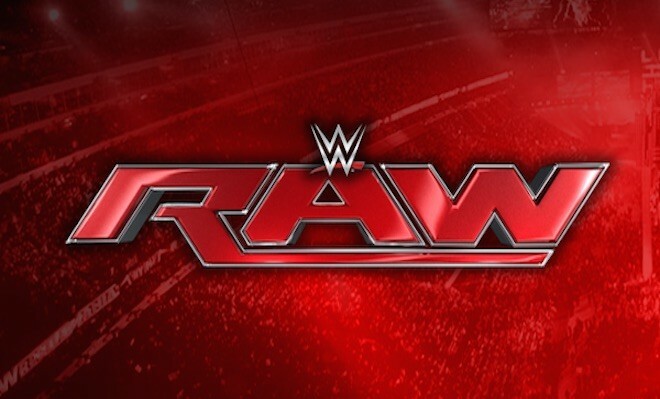 Monday's WWE Raw mostly moved along at a swift pace, gathering momentum. It was a night of surprises and returns, as Braun Strowman, Nia Jax, Samoa Joe and Stephanie McMahon all returned to the red brand after absences of varying lengths. Although there was plenty to dislike, from Halloween sight gags to Kane's mega push, one can't deny that this was an eventful episode. The Miz fought to keep the Intercontinental Championship in his grasp. Alexa Bliss defended the Raw Women's Championship in the night's main event. Kurt Angle found out that his job will be on the line at Survivor Series. And Strowman strode atop a limo with bloodlust in his heart. WWE added intrigue ahead of the Survivor Series pay-per-view. But the road to that Nov. 19 event wasn't without its potholes. Read on for a full breakdown of Monday's show. With the Raw roster standing on the entrance ramp, general manager Kurt Angle apologized for allowing the invasion to happen last week. Stephanie McMahon stepped in early on in his speech to interrupt. She berated him for allowing her brother and SmackDown to storm into their show. McMahon announced Angle will be the team captain for Raw's Survivor Series squad. She noted that if Team Red lost, he would lose his job as GM. Alicia Fox was supposed to be Bayley's opponent, but she claimed she was too busy with her captain duties. She called on Nia Jax to take her place. Bayley charged at her foe, leaving Jax reeling in the early going. The powerhouse, though, soon took over. She bowled over Bayley with an overwhelming, methodical offense. The Huggable One charged back briefly, but the heel flattened her. Fox, who had been watching nearby, told the winner she was her first pick for the Raw Survivor Series team. Samoa Joe stomped past everyone soon after. Joe trashed the fans for not caring about him. He promised to think of them when he was beating up his foes. Apollo Crews soon arrived with Titus O'Neil at his side. The announcers explained Crews asked for this match as a chance to prove himself following SmackDown's invasion. Joe dominated his smaller opponent. Crews was unable to lift him for a suplex. The Destroyer, however, didn't have any issue driving his foe into the canvas. Aggression from Crews helped him prolong the bout and keep Joe at bay. A Coquina Clutch put an end to his hopes of victory, though. O'Neil stepped in after the bell, getting a taste of Joe's submission hold, as well. The moment the bell rang, Matt Hardy was all over The Miz, going for a number of pinfalls. The champ was able to slow things down and keep Hardy on the mat. The Miztourage took cheap shots when the referee wasn't looking. Hardy slugged his way back into the bout. He had The Miz on the ropes until the champ hit the Skull-Crushing Finale. Asuka clobbered enhancement talent Stacie Cullen. She grinned as she took her foe apart, strike by strike. The match was over in a hurry. The announcers sold this match as having possible Survivor Series implications, as Angle would be watching with a Team Raw spot on his mind. Finn Balor and Cesaro kept things on the mat early on. Things grew more physical as The Swiss Superman took to uppercutting his opponent. A distraction from Sheamus gave Cesaro the edge. He battered and wrenched Balor, but the former universal champ refused to quit. Balor fought off Sheamus' interference and hit a diving stomp to the back of Cesaro's head for the three-count. Kane emerged after the match and attacked Balor. SmackDown general manager Daniel Bryan appeared backstage to try to make peace with Angle. The lights later went out, and Kane soon attacked him in the dark. Seth Rollins darted around the ring until Kane bowled him over and went to work. The Big Red Machine batted his foe around as Dean Ambrose cheered Rollins on from ringside. Cesaro and Sheamus showed up and didn't take long to mix it up with Ambrose. Kane dominated for the most part. He fought off Rollins' aerial offense and chokeslammed his way to victory. Ambrose dropped Kane after the bell before a brawl broke out. The Devil's Favorite Demon laid out both the Raw tag champs by the end of it all. Heath Slater and Rhyno slugged it out with Luke Gallows and Karl Anderson with Halloween-theme props all around them. The foes hit each other with pumpkins until The Club cost itself the match. The heels wore pumpkins on their heads, which allowed Rhyno to get the advantage and the victory. Slater and Rhyno win via pinfall. Elias mocked Jason Jordan in song form. Jordan, though, showed up looking for a fight. The former SmackDown tag champ suplexed Elias before the guitar-toting Superstar tried to retreat. Jordan broke his guitar. Drew Gulak talked up Enzo Amore before the action began. His size advantage had Gulak in control early. Kalisto buzzed around, hitting him with high-flying offense. A Salida del Sol ended the bout early. Backstage, The Miz saw a bag of garbage and thought it was a sign that Braun Strowman was back. He spent much of the show running around looking for protection, growing increasingly paranoid. In the ring, Mickie James had Alexa Bliss on the run as the match kicked off. The champ took over, though, punishing James in the center of the ring. James was able to stun Bliss, but the heel recovered and took her down. The cameras cut to The Miz, who desperately tried to leave the building. A garbage truck dumped its contest onto his limo. Strowman chased him and The Miztourage before walloping them.